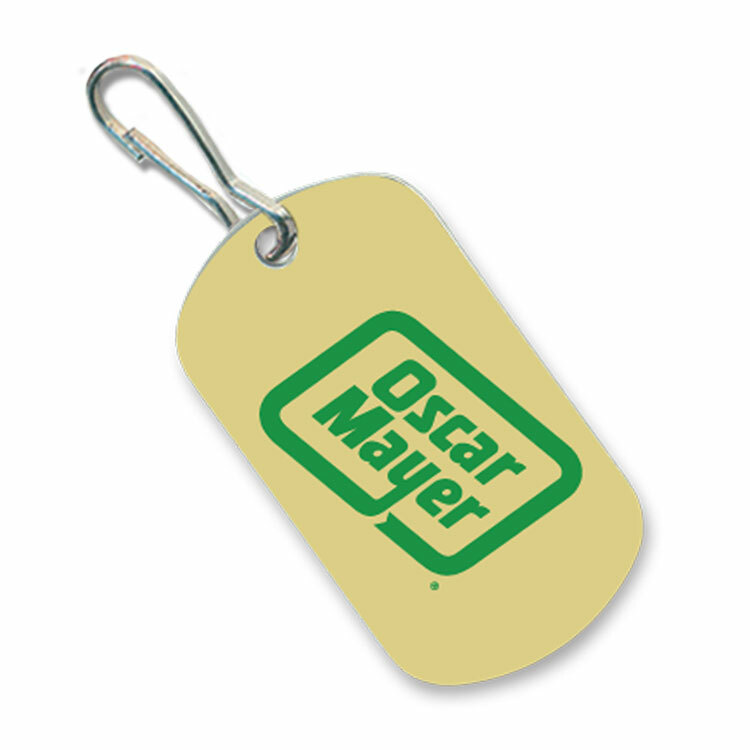 Colorful and fun aluminum dog tags with durable 1 to 4 color epoxy pad printing. Item pricing includes one color, zipper pull attachment, and polybagging. • $25 additional set up per color after inital set up.